When your customers have a problem or a question, they go to Google and other search engines to find solutions or answers. The search queries that your customers use to find solutions may look different based on your industry and market, but the basic need and intent are generally the same as people look to find products and services online. Starting with the needs of your customers and working backward is the only way to develop a winning SEO marketing strategy. Content marketing is one approach to digital marketing, and this effective marketing strategy has its roots in understanding and addressing the needs of your customers. Since your customers have more options than ever before to find solutions to address their needs and answer their questions, you need to work hard to get found and drive qualified traffic to your site. Unlike in the past, your customers can research and consume content across multiple devices and the terms they look for can indicate where they are in the Buyer’s Journey. If you want to ensure the longevity of your business then you need to understand the Buyer’s Journey. Many companies ignore the Buyer’s Journey when planning out their marketing efforts, and this means that your company has an unprecedented opportunity to gain a competitive advantage in your market. Instead of structuring content in a way to guide their audience towards the desired business goal, businesses jump in and just start creating content without a clear purpose. This can lead to wasted time and resources. Even more, if you do not create and organize content based on the needs of your customers then you will not be able to hit your company goals. In its simplest form, the Buyer’s Journey is a snapshot of the entire process that your customers go through before making a purchase and how they interact with your brand. The journey and actions that your customers take when finding solutions to their needs may vary based on the market, your industry, and other factors, but in general there are three primary stages of the buyer’s journey including Awareness, Consideration, and the Purchase stage. The Awareness stage is when your potential customers become aware of a need or problem in their life that they want to address. At this stage your audience will not have a strong understanding of the solutions available to meet their needs. This means that your audience will be in a state of mind where they gather general information about the topic to gain a broader understanding. Once your customers have reached the Consideration stage, they will have a better understanding of the questions or needs they have. Their research during the Awareness stage has introduced them to potential solutions, and the Consideration stage is all about defining their available options. Many customers will create spreadsheets or other tools to compare options to help guide their purchasing decisions. After a considerable amount of research, prospects at the purchase stage have reviewed many viable options on the market. By the time your customers reach the Purchase stage, they will be interested in knowing how you will help solve their problems. You should feel proud that your audience has reached this stage, and it is time to close the deal by offering relevant case studies and other content to tout your value! What Is A Content Silo And How Do They Help The Buyer’s Journey? Improve the user experience. Since your customers are the ones who buy from you, you need to use content silos to ensure you can guide them through the buyer’s journey. Help search engines better understand your content. Since your customers use search engines to find content based on their needs, you need to use content silos to help your content rank and engage your customers in the buyer’s journey. While content silos offer numerous benefits for technical SEO, they also provide a way to organize content to help guide customers forward through the Buyer’s Journey. This is because structuring your website into content silos provides an intuitive path for your customers to progress forward to find a solution to their problem or need. In general, you should develop content in all stages of the Buyer’s Journey, with each piece of content developed to address a specific purpose around the unique needs of your audience. The only way to improve conversions on your site is if you provide great content that meets the needs of your customers, and you need to organize that content on your site in a way that makes it easy to consume and understand. The primary goal of organizing content on your website using content silos is to break a topic down further at each stage of the buyer’s journey. Since information in each silo is grouped together, search engines and your audience will be able to connect information together and this will define you as a subject matter expert. Similar to search engines, your customers understand your website by moving through internal links and navigating through pages on your site. When your content is organized into silos, this process is greatly improved so your customers can consume, process, and take action based on the related information. 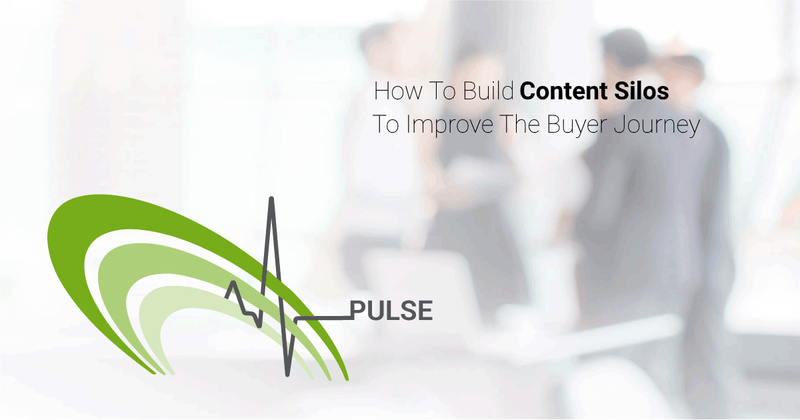 There are many ways to organize your content around the buyer’s journey in content silos. The primary way of optimizing content with content silos is to organize content based on type, themes, and other related elements. Here are some ways to use content silos to help structure your site and what you should consider for each stage of the Buyer’s Journey. Create high-quality informational content focused on real-life questions that people ask. Provide actionable answers to help your customers identify and understand their problem or need. Do not use any sales copy or talk about your brand a lot at this stage. Make your content easy to consume since customers at the awareness stage are looking for general information and are not committed to any single piece of content. Educate your customers to showcase your leadership in the industry and begin to position yourself as a trusted source. Offer free content that prospects can download to help provide more information about a problem and begin to introduce your solutions. Always link content meant for prospects to landing pages that can usher readers towards a conversion. Use explainer videos and other content to show just how your product or service can help solve their problems. Show your prospects that you understand their needs and you offer the best solution on the market. Give prospects a peek into the benefits they will enjoy when they choose to do business with your company. Provide content like case studies, reports, and white papers to backup claims that you made at earlier stages of the buyer’s journey. Use social proof to have your current customers brag about you. This will improve your trustworthiness and help increase conversions. The Buyer’s Journey is an abstract overview of how your customers come to understand, trust, and buy from your company. The only way to create effective content for your business is to create valuable and relevant content for the stage that your customers are at in the Buyer’s Journey. You can increase your online presence and conversion rates by organizing content into content silos. This will help you organize your content based on the needs of your audience, so your readers will trust and buy from you today! Chris Giarratana is the owner of StrategyBeam, a Digital Media Strategy company in Orlando, FL. 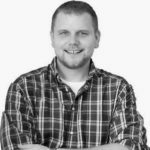 He loves working with startups and business owners to help them make more money through content strategy, freelance copywriting, SEO marketing, and PPC management. Featured Snippets: Who’s Winning the Battle for Position Zero?